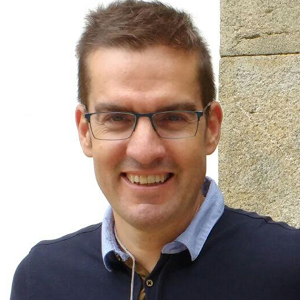 Joaquín Fernández-Rossier is currently the leader of the Group of Theory of Quantum Nanostructures. He holds both a Diploma (1994) and a PhD (1999) on Physics from the Universidad Autónoma de Madrid. He spent 2 years (99-01) as a postdoctoral researcher at the Physics Department of the University of California San Diego and 18 months (01-03) at the Physics Department of the University of Texas at Austin. In 2003 he obtained a Ramon y Cajal assistant professor position in the Universidad de Alicante, and he was promoted to a permanent position in 2008 and to an associate professor (professor titular) in 2009. He is a condensed matter theorist with interest in quantum phenomena at the atomic scale, quantum materials and quantum technologies. He has published more than 125 indexed research papers, including Science (2), Nature (1), Nature Materials (2), Nature Nanotechnology (3), Nano Letters (2), 2D Materials (3), Phys. Rev. X (1), Phys. Rev. Lett. (19) , Phys. Rev. B(52), cited more than 4000 times (h=34, WOS). He has graduated 4 PhD students.